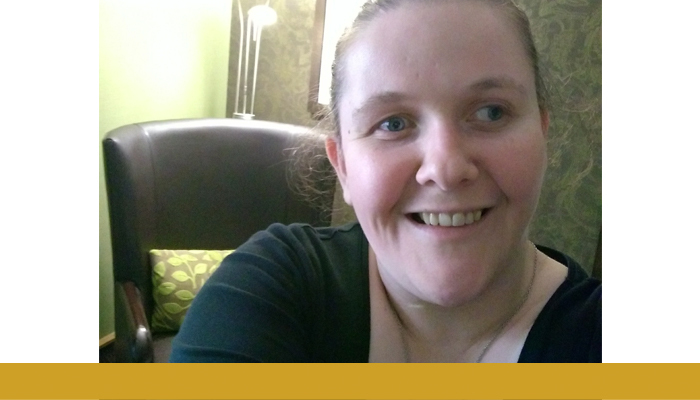 Victoria explains why RNIB has played such a major part in her life over the past decade. RNIB came into my life ten years ago, and in that time I’ve gained so much. I’ve found technology solutions and support during Further Education, work experience through volunteering and more confidence travel and career wise! With the team in the ‘Seeing our History’ project, I uncovered stories of the lives of blind and partially sighted people in Victorian and Edwardian Edinburgh. The project enabled us to bring these people’s tales back to life and with fantastic vividness. The Edinburgh Anniversary Civic reception reminded us of how far we’ve come in reducing marginalisation for people living with sight loss. We also glimpsed the future. The ‘When I Grow Up’ film was a wonderful piece showing the voices of the future and their hopes. “I want people to understand” said one girl. I sincerely hope for those children, and others like them, this happens and that their voices are given dignity and respect in society. Find out how we can support you when you need us.